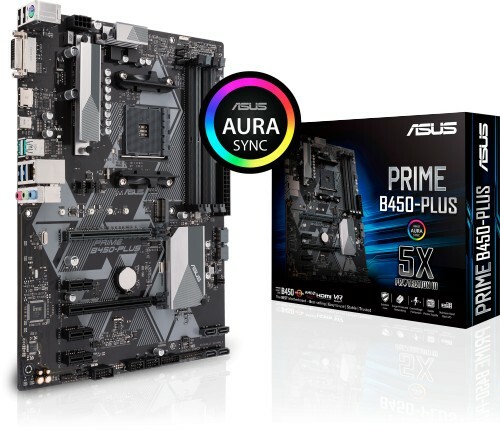 The ASUS PRIME B450-PLUS is an excellent motherboard that is jam packed with features at an exceptionally good price! ASUS Prime B450 Series motherboards provide the solid foundation needed for your first build, plus flexibility to grow with your ambitions. Asus melded all the good stuff that's packed into AMD Ryzen processors with essential ASUS design and engineering, so you benefit from industry-leading technologies — including automated system tuning, comprehensive cooling controls, and immersive onboard audio. When you build with an ASUS Prime B450 Series motherboard, you build smart, easy and affordably. Prime B450 Series features the most comprehensive cooling controls ever, configurable via ASUS Fan Xpert software or the UEFI BIOS. Each header can be set to monitor and react to up to three thermal sensors. Via Fan Xpert, you can also assign a sensor to monitor the temperature of supported ASUS graphics cards to ensure optimal cooling during GPU or CPU intensive tasks. Featuring an array of trace layout tweaks that improve memory stability, PRIME B450 Series provides a potent foundation for your build. With comprehensive support for the full gamut of Ryzen memory configurations – from entry-level to performance-oriented — PRIME B450 Series is a versatile all-rounder that can work or play. With backward-compatible USB 3.1 Gen 2 Type-A, you'll experience ultimate connection flexibility and blazing data-transfer speeds of up to 10Gbps — twice as fast as standard USB 3.1 Gen 1. AMD StoreMI technology is a software utility that accelerates any drive for better system responsiveness with reduced startup and software load times. It combines SSD performance with the affordability and capacity of an HDD by automatically moving frequently accessed data to dedicated SSD storage. ASUS is the world's leading motherboard brand. 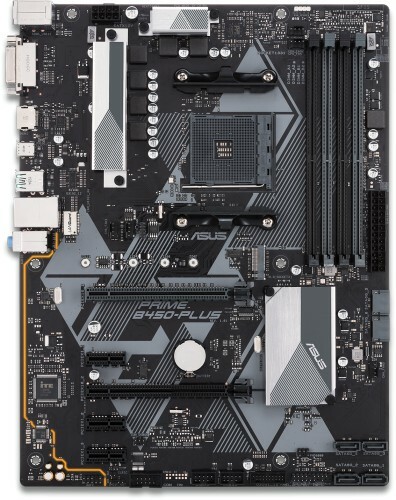 Their motherboards are extensively tested for compatibility with more than 1,000 components and devices, and each new model undergoes a minimum of 8,000 hours of strict validation — offering the peace of mind of knowing that your ASUS motherboard is fit for all environments and applications. Choosing ASUS is an assurance of trouble-free DIY experiences. A well-tuned enthusiast system deserves a matching aesthetic. ASUS Aura Sync offers full lighting connected via the motherboard's RGB header, with a variety of functional presets for external LED strip, and it can all be synced with an ever-growing portfolio of Aura-capable ASUS hardware.